We bought the travel system for my little boy and it is one of the best products we purchased. 100% worth the money. The carry cot is sturdy and well padded, and easy to clean. We have just converted to the full pushchair element and Its amazing! Its very durable and is made to last. When i fell pregnant my partner was adamant he wanted a recaro pushchair. I wasn't sure due to never seeing one until i went to the baby show and fell in love with it. The pushchair is lovely and big. We have it in ruby so is nice and vibrant. I do find it difficult to sometimes get the car seat on the frame. The car seat sits up so the baby is in a hood position and also its very easy to move the straps up or down on it. Carry cot is good but sometimes feels shakey. I notice sometime i feel like 1 of the front wheels is very wobbly but on smooth ground is so smooth. You do need to lift it for even the smallest kurb. Only down side doesn't come with raincovers for car seat or carrycot. 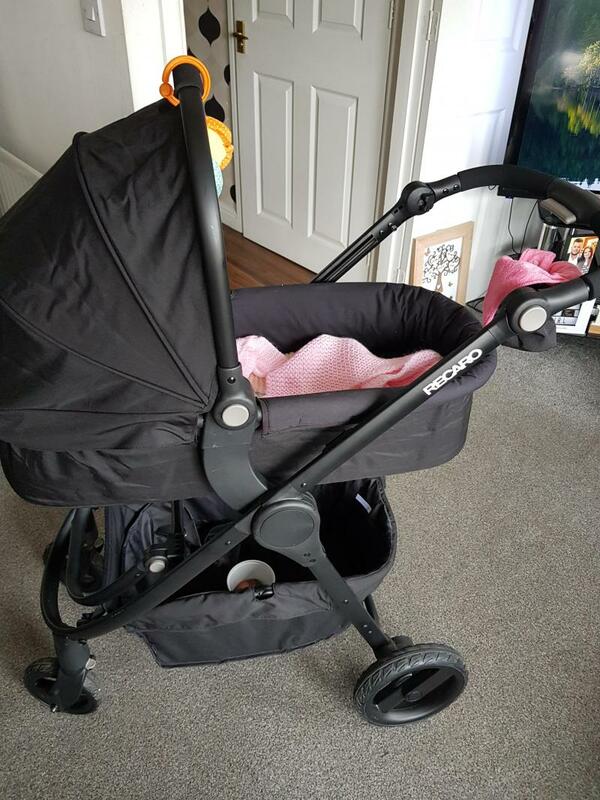 Very good pushchair, it's very comfy, however I have to wriggle it quite a bit to fold it, and after two months of using it it seems.like the wheels are not.as steady anymore. Very durable and long lasting! We bought the travel system for my little girl and it was one of the best baby products we purchased. 100% worth the money. The car seat I found has a higher weight than most travel system car seats that tend to only be for babies from birth to 9 months. This one is made to last a lot longer than 9 months! The carry cot is verys sturdy and well padded, perfect for tiny newborns. My little girl is now 14 months old and we have been using the pushchair part of the travel system since she was about 6 months old. Its amazing! Lays really flat, sits upright and has an adjustable foot rest which is so handy. The basket at the bottom is very spacious which Inhave found essential whilst out and about with everything you have to take for a baby/toddler. 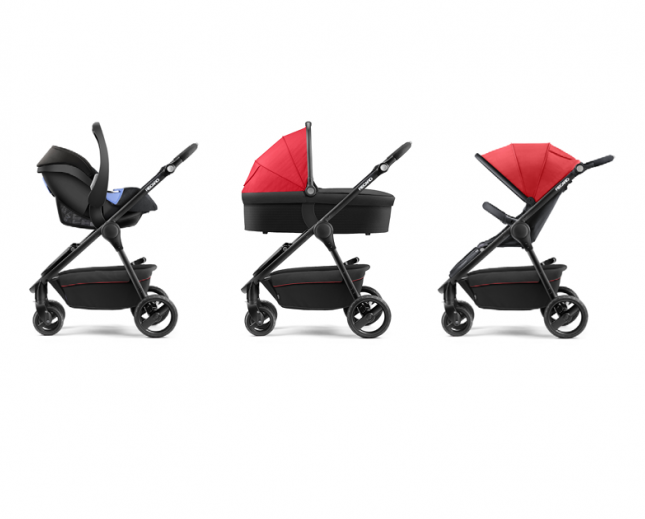 Its very durable and is made to last, we won’t ever be needing another pram! The only downside is the pram is quite bulky/wide I find the wheels at the back stick out quite a bit and the pram is a little heavy. When lifting up a step or kerb it can be a task, its not always very smooth. But this does not put me off the pram at all and is still the best thing we bougt as new, first time parents with little to no idea about prams, car seats or travel systems! Comes with everything you’d need, will support babies needs until they can walk. Bulky and quite difficulty to steer. This travel system is the same one I have had since my baby was first brought out of the hospital, the car seat that comes with it is the one I used to take him home in. 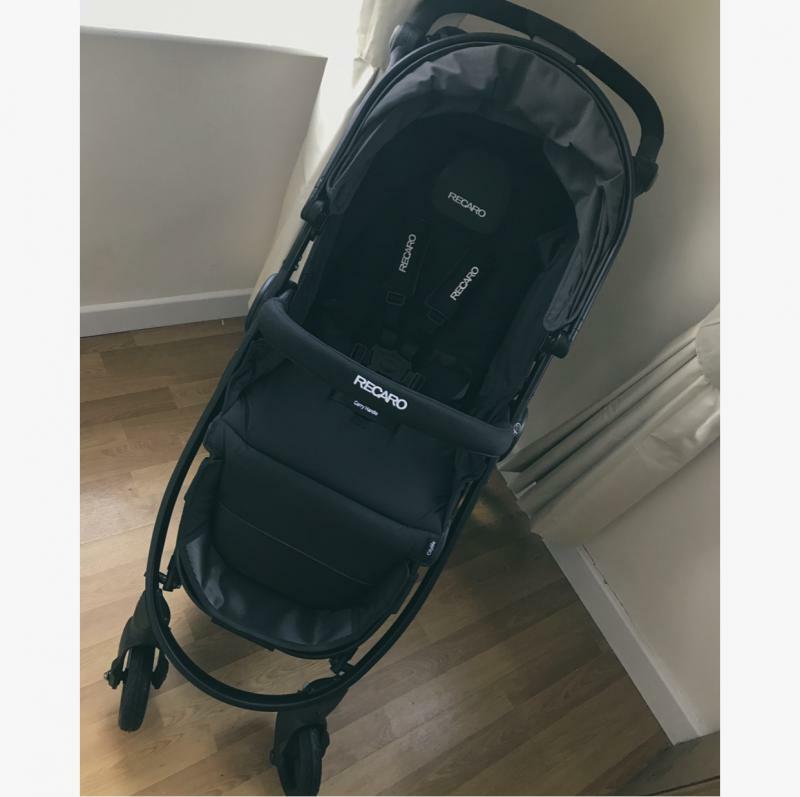 This pushchair is brilliant, it comes with everything you need include travel sleeper (which can be front facing or parent facing) car seat which also attaches to pram, and the traditional pushchair we know and love yet also includes extras such as a rain cover, a sun shade and underneath storage. 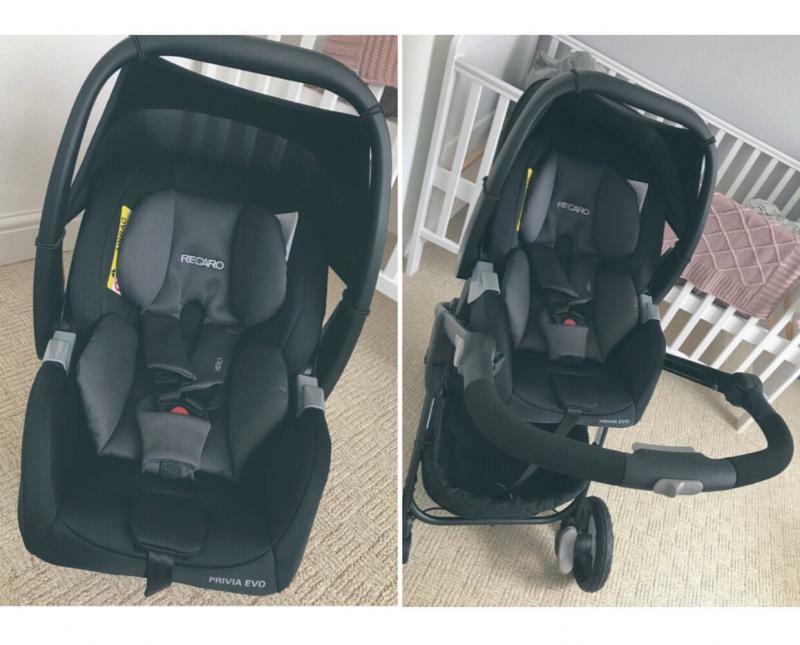 The car seat has a very soft cushion to support baby’s head so that it doesn’t shake around whilst driving or going over bumps, it fits extremely snugly onto the pushchair fitting as does the travel sleeper. It pushes extremely smoothly and quirky even after constant use in all weather for at least three months for me. My only issue is that the travel system is quite large so I find it quite difficult to manoeuvre around people in busy places and it’s also hard trying to park it on the bus and you can’t fold it up to make it fit if you take the travel sleeper with you. It’s an amazing product yet if it could be made more compact it would be a solid 10/10 from me. not long after I found out I was pregnant I went around shops looking for my perfect pram and eventually found this one that I just fell in love with and no other compared to it. I paid a deposit for it straight away and went back some time after to get it. On the chassis it is so easy to switch between carry cot and car seat which ever you desire. I found it hard to fold it but once I got the hang of it, it became no problem. I now have my son in the buggy part which is great, he can see where he is going and if the sun is lower the sun shade on it can be pulled down. It also has a small window on top of the hood so you can check to see if they are okay. Definitely a bargain for the money, I’m so glad I picked this one . At first I didn't like the pram, I found it hard to open and close but after a few tries I now don't it easy. There has been times when the wheel has got stuck while folding it down but other than that it's been fine. Another thing I don't like is the bottom bar when older babies legs sit... It has been chipped away while I have been unfolding the pram. I would be so picky but the black paint has come off and is not silver in parts which sort of stands out. On a good note the pram is easy to fold and unfold (now I know how) and I very easy to change the chairs/seat/carrier with just pressing 1 easy button. We also bought the add-on isofix. Best thing ever. Especially getting my little one in the car when it is raining! I bought this pushchair when my little was around 7 months old. I was beginning to find her more expensive travel system too big and unnecessary once she could sit. 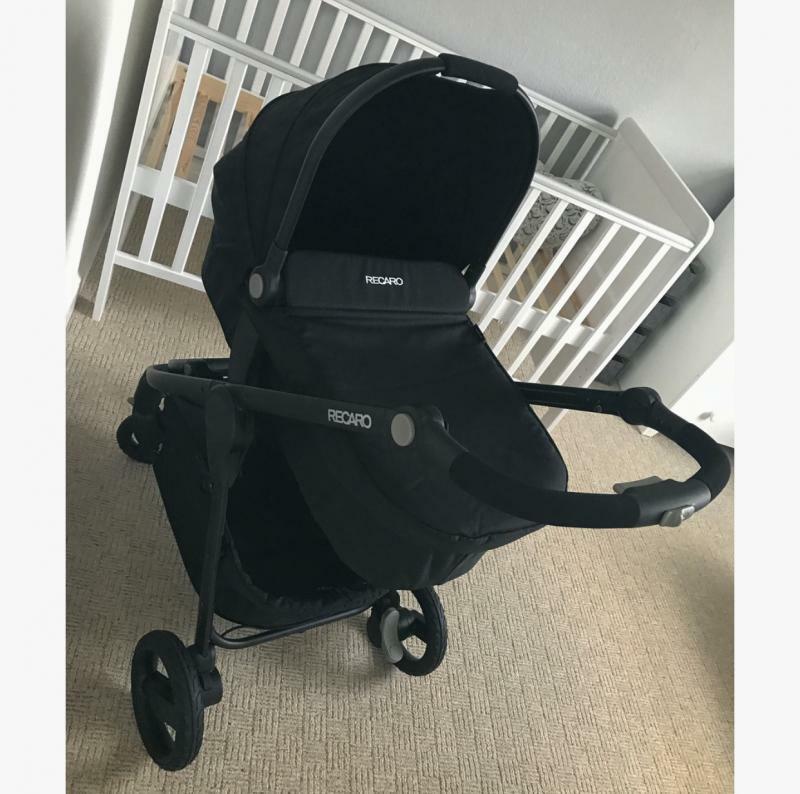 This pushchair is of great quality and I think the price for what you get is amazing! I do wish I had started with this in the beginning, could have saved myself a small fortune. That said I still eventually ended up buying a small lightweight stroller by the time my little was 18 months. I bought the recaro travel system for my Little boy and it’s the best purchase I made. The structure and the wheels are so sturdy and the wheels and indented to be able to grip better. It is so light to push and the break is so tough you know it won’t roll away. However the difficult bit is folding down and up the pushchair, it is a bit tricky however they have added a carry handle on to make it easier. The Citylife Recaro travel system is the perfect lightweight pushchair option for all your active family needs. 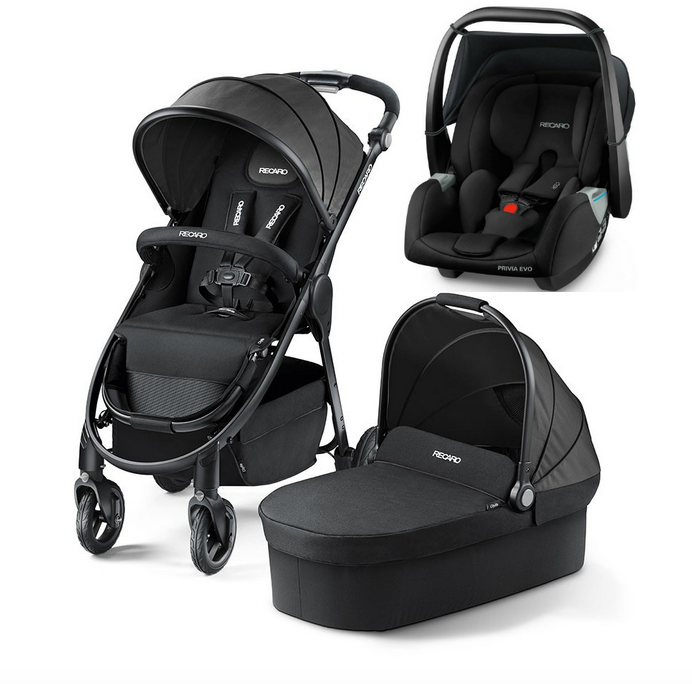 For newborns, the Citylife offers the RECARO carrycot or an infant carrier using adapters. 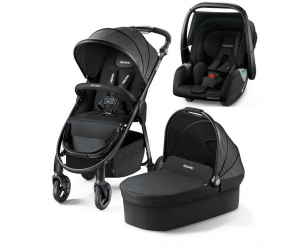 Superior comfort with ergonomic seating from 6 months of age, full suspension, push-push brake, and smooth running lockable swivel wheels with puncture proof tyres. Practical design with a smart single hand fold down to a compact size, cup holder, rain cover, and a large and easy access shopping basket. All round high standards are met by the Citylife travel system.